On this day, many people may experience a sixth sense. However, one should not unconditionally believe everything that intuition will suggest. This information should be taken only as a hint or a half hint. 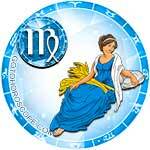 In general, Friday promises to carry a light amount of stress and remain emotionally comfortable. It is recommended that you try to work well and rest well. 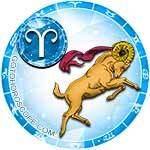 Choose leisure activities that allow you to relax. .
For many Aries, Friday will bring several major victories. There is a high probability for you to take a prestigious chair or get an increase in salary. Those who work for themselves should not abandon their creative ideas. Feel free to experiment in business and in personal relationships! However, it is important to take into account the mood of your loved ones. There is a risk that some of them will want to spend Friday evening as conservatively as possible and without any exciting adventures. Taurus on this day should take caution in your work. It is important to showcase your professionalism as this could increase your chance of a prestigious meeting. Those who are planning a job change can smile on their good luck. 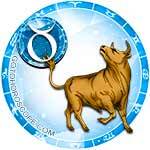 Taurus-entrepreneurs also have a chance of success. You should actively learn from the wisdom of the experienced "sharks" of small businesses. As for your emotions, the day will pass pretty uneventfully. Try to create a celebration for your close people. 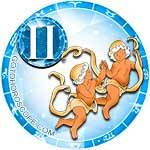 Gemini, on this day, it is recommended to keep your mouth shut. There is a possibility that someone will deliberately try to find out compromising material about a friend. Otherwise, the rest of the day will pass without a problem. If desired, Friday can give you a chance at romance or fun. It is important when planning evening leisure to take into account the state of your body. So, having felt that the state of your health is not ideal, it is better to refuse noisy activity. 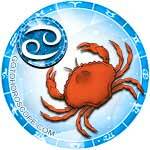 For many Cancers, February 15 is destined to play a role in your superfluous relationships. Perhaps a similar situation will develop in professional affairs as you are left the bulk of work at your job by yourself. You might feel indifference from your close friends and a lack of attention from your partner. Personal creativity, favorite hobbies, or many hours of shopping can be an outlet for the day's stress. 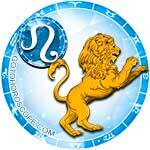 The mood of some Leos today will be fickle. Most likely, this will not cause great anxiety (unless something slightly complicates your ability to communicate). Friday is not bad for activities aimed at potential enrichment. There is a chance that you can benefit from an old hobby, and you also might successfully sell an unwanted item. You might find that the day will pass uneventfully and without any dramatic events. Virgo, on this day, it is recommended for you to avoid any serious conversations. 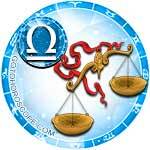 There is a chance of falling prey to someone else's problems or becoming a puppet in the hands of an unbalanced person. Focus on yourself and your priorities. With a certain amount of effort, you can successfully complete your current service project in order to adjust the dilemma of your personal relations. Alternatively, you can try your hand at sports or intellectual confrontation. 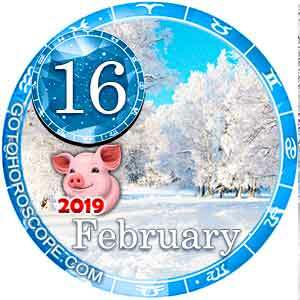 Many Libras will want to relax on February 15. Perhaps the need for relaxation is dictated by your body that is tired from hard work. This day is ideal for relaxing on the couch, communicating casually with loved ones, and walking in the fresh air. For those who can not abandon their work, it is recommended that you work at a moderate pace, and actively use the help of others. 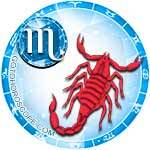 For many Scorpios, Friday will deliver a real delight. The probability of romantic meetings and acquaintances is high. Perhaps, someone, today will find the perfect partner for creativity or business. 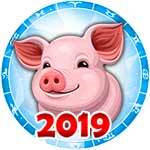 Good luck is also foreseen in financial affairs. There is a chance to get money from an unexpected source (perhaps it's about a suddenly discovered inheritance or dividends on a long-forgotten deposit). It is recommended to spend the evening as actively as possible. Prioritize sports and games today. 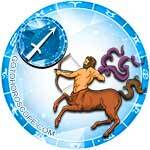 Many Sagittarius on February 15 will be able to venture to where others cannot reach. Probably, this could be in regards to receiving some secret information (perhaps brilliant ideas for a business, etc.). You may also make a romantic acquaintance. Those who are already married or in a stable relationship should take this acquaintance as a dangerous temptation. Singles can actively flirt and chat. 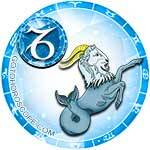 Some Capricorns on this day will have to work with an increased amount of strength. Probably, the reason for this will be in order to rush a job or meet an important deadline. It is also possible that a family conflict will arise. However, you may find luck when you go shopping. There is a chance to profitably acquire a valuable item, successfully exchange equipment, or purchase a couple of stylish things at an affordable price. 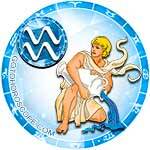 For many Aquarius, the day will be full of worries. There is a risk that the long-term intra-family conflict will escalate or there will be an emergency question related to real estate or finance. Do not be afraid to ask for help from those who have helped you more than once. Also today, it is not recommended to test yourself in unfamiliar affairs, to experiment in the kitchen, or to make changes in your appearance. There is a risk that all of the above will bring negative results. 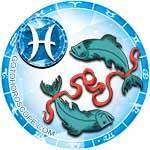 Pisces are unlikely to remember the events of this day. The reason for this is likely to be because of its monotonous nature. Try not to drown in the routine of your everyday affairs. Do not allow life to dominate your thoughts and actions. If you wish, you can color your micro-world by delving into creativity. Alternatively, you should spend this day outside the house. Avoid wallowing in your emotions, alcohol, and abuse of high-calorie delicacies.